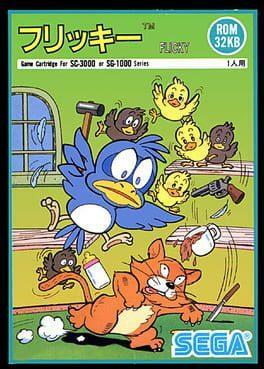 Flicky is an arcade game made by Sega. First released in arcades in 1984, Flicky was also released at the time for the SG-1000, and then ported to the MSX and Japanese computers Sharp X1, Fujitsu FM-7 and NEC PC-8801. It was later ported to the Sega Mega Drive/Genesis in 1991. Flicky was designed by Yoji Ishii, who was with Sonic Team until August 1999, when he formed Artoon, his own company. Flicky is available from 2.49 to 2.49 from 1 shops.